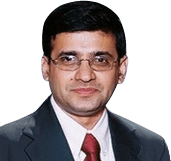 Mr Abhay Chopada a leading colorectal surgeon is an expert in Colitis treatment which is a condition inflaming the inner lining of a colon or the large intestine. Symptoms may include abdominal pain or cramps, bloating, diarrhea and blood in stools. The diagnosis of Ulcerative colitis is..